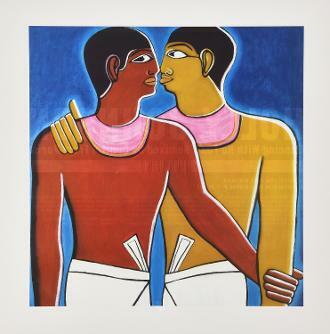 Holly Johnson is, of course, most famous for being the lead singer of one of the most controversial and biggest-selling 80s bands, Frankie Goes To Hollywood. Currently aged 59 (2019), the musician was born on February 9th 1960 as William Holly Johnson, in Khartoum, Sudan, and was the third of four children. Johnson was a huge fan of the transgender actress Holly Woodlawn, and decided to use the name Holly at the age of 14. However, he was nicknamed Billy by his family, and while at the all-boys grammar school Liverpool Collegiate (starting in 1972), he was nicknamed Joyful Johnson. During this time, he got involved with the new wave and punk music scene, and started writing and playing songs on his acoustic guitar. Johnson left school in 1976. During 1977-78, he became the bass player for the flamboyant punk band Big in Japan, alongside Ian Broudie (The Lightning Seeds) and Bill Drummond (KLF). However, he was sacked in June 1978 and was replaced by Steve Lindsey. Holly's first solo single was "Yankee Rose" in 1979, followed by "Hobo Joe" in 1980. Neither song entered the singles charts. Johnson then formed Sons and Egypt (not Sons of Egypt as in Wikipedia) with Jed O'Toole (the brother of Mark, and the cousin of Brian Nash), Peter Gill and Brian Nash, but they disbanded after just a few gigs. Johnson then joined Mark O'Toole and Peter Gill to form Frankie Goes To Hollywood. For their first gig (at The Warehouse in Leeds), Sonia Mazumder was on vocals. The headline act was Hambi & The Dance, which included Paul Rutherford, who joined Frankie on stage in an enthusiastic performance. The band members were so impressed, they immediately sacked Mazumber and Rutherford took her place. After leaving Frankie in 1987, Holly became embroiled in a lengthy legal battle with record label ZTT, leaving him unable to start a solo career. However, after winning the case which freed him from his contract, he had a second stab at a solo career, which saw him venture into less controversial territory with the release of more middle of the road pop songs. This was a wise move, as Frankie left one hell of a legacy to compete with, and trying to emulate the same style would have been a difficult path to take, particularly without the production skills of Trevor Horn. 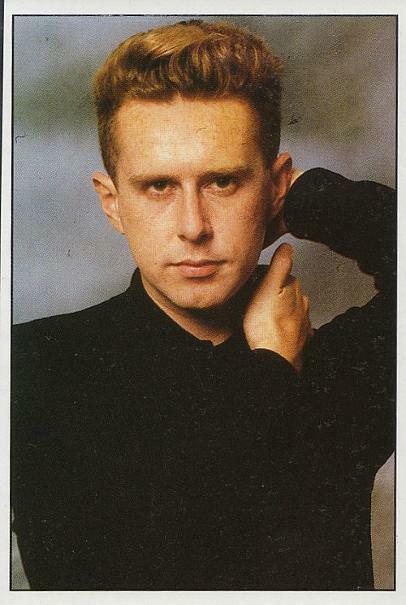 "Love Train" was Holly Johnson's first solo single after Frankie GTH disbanded, and reached No.4 in the UK Charts in 1989, and #65 in the Billboard Hot 100 in the U.S. It didn't have the most original of titles, but was a solid debut single, nonetheless, and went down well in the clubs. The club-friendly tune gained a lot of arplay on the commercial radio stations, and while the lyrics were a world away from those he helped pen for the Frankie singles, Johnson did manage to slip in an innuendo that could've given DJ Mike Read a heart attack - "You're just right to keep me up all night". Coupled with a video that looked like it was set in toy town, this was shear genius! Although the song didn't feature an epic production by Trevor Horn, it was a jaunty slice of melodic pop that, in terms of commercial appeal, was almost perfect. The follow-up single, "Americanos", featured an even more infectious hook, and also reached no.4 - it should have reached No.1 in my opinion, but I don't think many people grasped the fact that he was not actually celebrating American culture, but despising it. The second single from the Blast album stayed in the UK charts for 11 weeks, and just like Love Train, also peaked at No.4. The song was No.1 in Austria and No.2 in Germany. 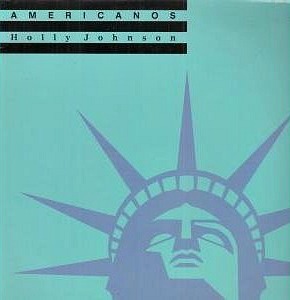 There were around a dozen remix versions of Americanos, including the Mambo Dub Mix and Liberty Mix which featured on the CD single version. 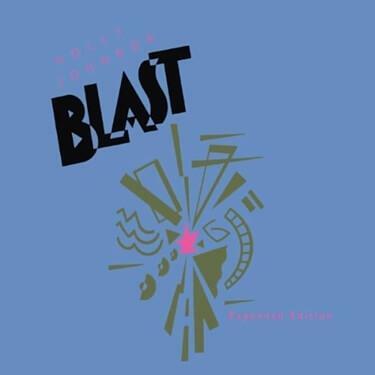 The Justin Strauss Extended Mix featured on a reissued two CD version of the Blast album in 2010 which featured 30 tracks. The original Justin Strauss mix and extended mix originally featured on a U.S promotional CD released in 1989. Following the success of these two singles, the album Blast was quickly released by MCA, and this rocketed straight to no.1. Two more singles were also released from the album, "Atomic City", a dramatic, anti-nuclear track produced by Dan Hartman, and "Heaven's Here, a lyrically impressive love song which featured a tea-time chorus. For anyone wanting to create a hit single in the 80s, Blast provided the perfect lesson on how to do it. It featured ten melodic tracks that were a world away from Trevor Horn's ginormous productions, and had just the right mix of ingredients to make a No.1 album. And Johnson ingeniously managed to slide his political views into songs that had teen pop choruses. An imaginatively titled remix album Hollelujah was released in 1990 and featured a Frankie Knuckles remix of "Love Train", plus remixes of "Americanos", "Atomic City", "Perfume" and "Heaven's Here", plus the title track Hollelujah. 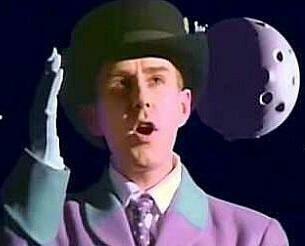 1991 was not the best of years for Holly Johnson, and it's one he'd probably rather forget about. He released a second studio album on the MCA label Dream's That Money Can't Buy, but soon discovered that MCA hadn't bothered setting aside a promotional budget for the album. Combined with a lack of airplay for the first single, "Where Has Love Gone? ", the album and lead single failed to break into the UK top 40. It seems incredible that Johnson was treated with such disrespect, particularly after the success of the previous No.1 album on their label. Having said that, the singles were not quite as well crafted or as infectious as his two top 5 hits from Blast. Another two singles were also released from the album, "Across The Universe" and "The People Want To Dance", which, inevitably, both failed to reach the UK Top 40. However, I do remember a clip of the video for "Across The Universe" being shown on the Saturday morning TV show Going Live. Sarah Greene was pretty enthusiastic about it, at least. Unsurprisingly, Johnson left MCA during 1991. 1991 was also the year that the singer discovered he was HIV positive, and he decided to withdraw from the public eye. 1994 was a particularly productive year for the musician. 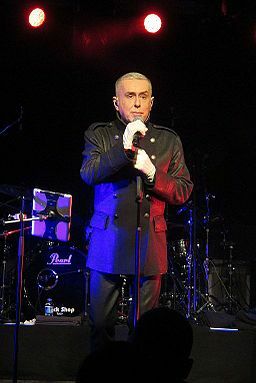 The single "Love and Hate" was produced and written by Holly Johnson, with Ryuichi Sakamoto also having a hand in the lyric writing. It was released to promote Sakamoto's new album, with Johnson the main star of the video. Ryuichi Sakamoto is a Japanese musician who was originally a keyboardist for the electronic act Yellow Magic Orchestra, who formed in 1978 and disbanded in 1983. As a solo artist, Sakamoto has released 38 solo albums, and teamed up with 80s band Aztec Camera in 1993 on the single Dreamland. Johnson also found himself with another No.1 hit on his hands - in Israel, that is! The gay anthem "Legendary Children (All Of Them Queer)" would only reach No.85 here in the UK, however. In the video, Holly is dressed in a flamboyant purple suit, wears very heavy make-up, and carries a cane - he also carried a cane in the video for "Atomic City". Holly also released his autobiography A Bone in my Flute, which became a best-seller and received positive reviews. Johnson recorded his third studio album in his home recording studio, and released it on his own Pleasuredome label during 1999, leaving him free from the constraints a record contract with a big label. The 10 track album included a new version of "The Power of Love", which was released as a single, reaching No.56 in the UK singles chart. Although the album failed to chart anywhere, it did, at least, give the musician the freedom to express himself. However, personally, I found that many of the songs lacked melody and a decent hook, and they certainly didn't have the instant appeal as the tracks on his Blast album. Three singles were released from the album; "Hallelujah" (which failed to chart, but reached the Top 10 in the Record Mirror Club Chart), "Disco Heaven" (#85), and "The Power Of Love" (#56). Holly performed a set at the 80s Rewind Festival in England during the summer of 2011, and in Scotland during July 2012. He also made a guest appearance on a cover of The Hollies He Ain't Heavy He's My Brother by the Justice Collective, which was released in December 2012 and became the UK Christmas No.1 single - proceeds went to charities associated with the Hillsborough stadium disaster. Also during December, Gabrielle Aplin hit the No.1 spot with her cover of Frankie Goes To Hollywood's single The Power Of Love, which means that Holly had a hand in two number one singles in the same month! Johnson made further appearance as 80s Rewind and other music festivals after 2012. In 2014, Holly released his fourth album Europa on his own Pleasuredome label, which reached #63 in the UK album charts. The singles "Follow Your Heart" and "In And Out Of Love" were released to promote the album, and received airplay on BBC Radio 2. Johnson's voice was on sparkling form, and I particularly like "In And Out Of Love" which has a very infectious chorus and a fun video. Four singles were released from the album in total, with the final single Dancing With No Fear reaching #2 in the UK vinyl charts in 2015. Johnson embarked on his first UK solo tour, "Dancing with No Fear", and released limited copies of a live album recorded during the tour entitled Unleashed From The Pleasuredome. Un February 2016, Holly co-wrote a new single with Take That frontman Gary Barlow, entitled "Ascension". It was penned for the the soundtrack to the movie Eddie The Eagle.